GFWC International President Babs J. Condon, clubwomen and staff at the 2014 Wreaths Across America Ceremony. 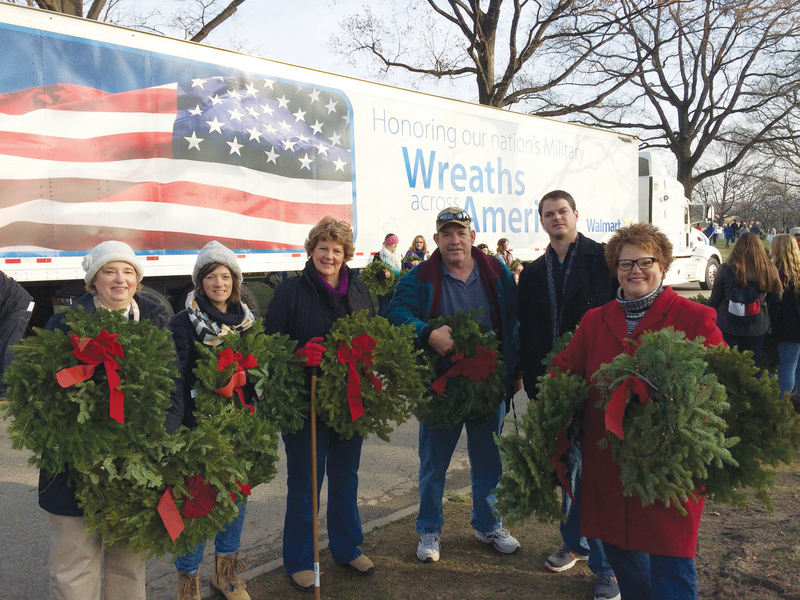 GFWC International President Babs J. Condon, along with GFWC staff, and fellow clubwomen will be participating in the annual Wreaths Across America Day on Saturday, December 12 at Arlington National Cemetery. GFWC has sponsored several wreaths and is also volunteering its time to lay wreaths on the grounds. The Opening Ceremony begins at 9:30 am. If interested in joining GFWC at Arlington National Cemetery, please contact Derek Tennant at DTennant@GFWC.org. Wreaths Across America coordinates wreath laying ceremonies at Arlington, as well as veterans’ cemeteries and other locations in all 50 states to spread its message about the importance of remembering our fallen heroes. If you can’t make it to Arlington but want to be involved, check out the wreath laying options in your state or sponsor a wreath at Arlington. Learn more about Wreaths Across America by visiting their YouTube Channel and checking out this video. 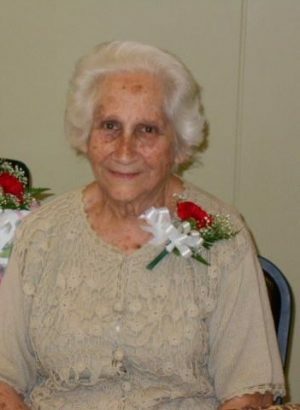 The GFWC Woman’s Club of Belpre (Ohio) can’t imagine Belpre without fifty years of contributions from Marion “Petie” Metz. 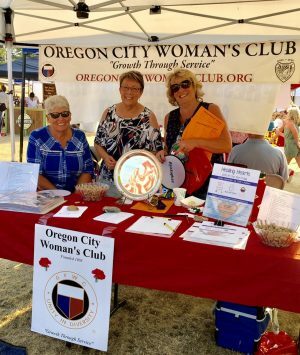 The Oregon City Woman's Club (Oregon) participated at the National Night Out on August 7 with a booth advertising their club.